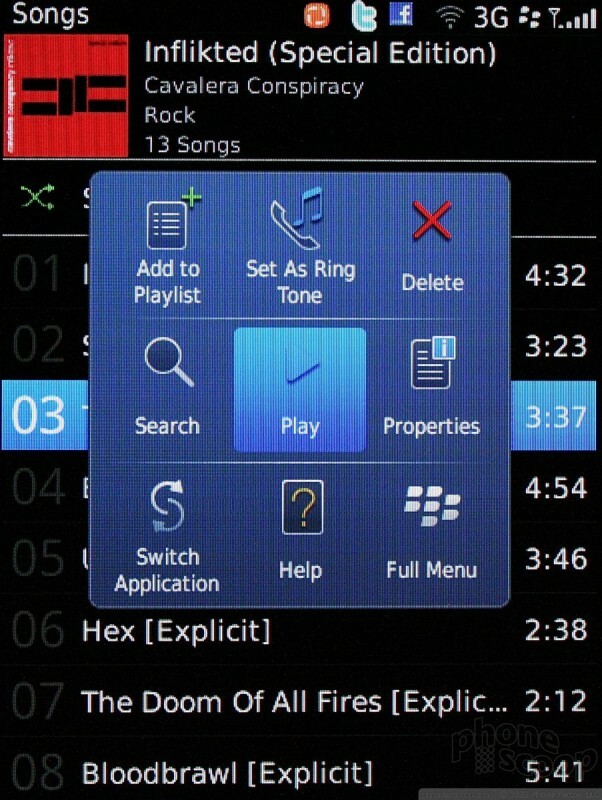 RIM has given the music application a modest refresh. It can be best described as less "menu-y" and more "graphic-y." 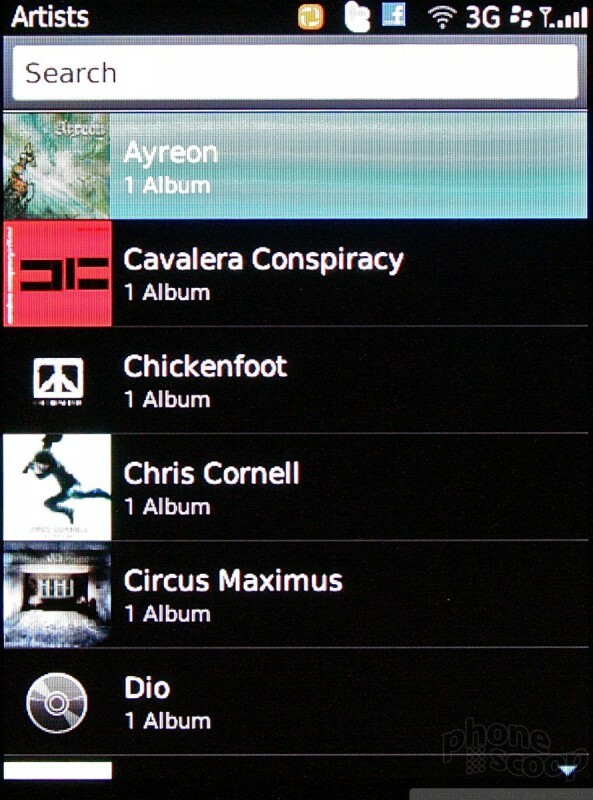 Now, when viewing artist, album, or song lists, album art is displayed next to the file or folder in question. The result is a more visually pleasing experience. The player has also been overhauled in a very positive way. 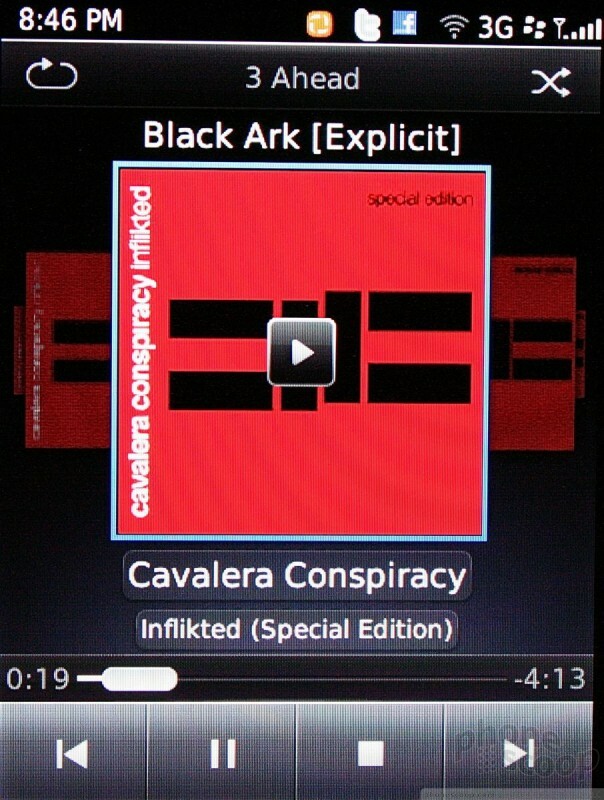 Once you've chosen to listen to a song, the Torch automatically displays cover art in a coverflow appearance for the current playlist. 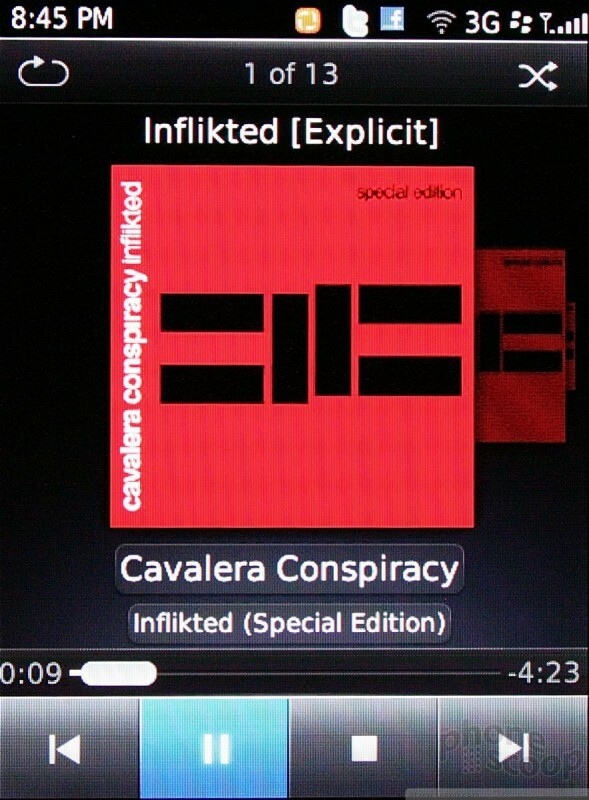 This means that while you're listening to the music, you can scroll through your library visually via album cover art. 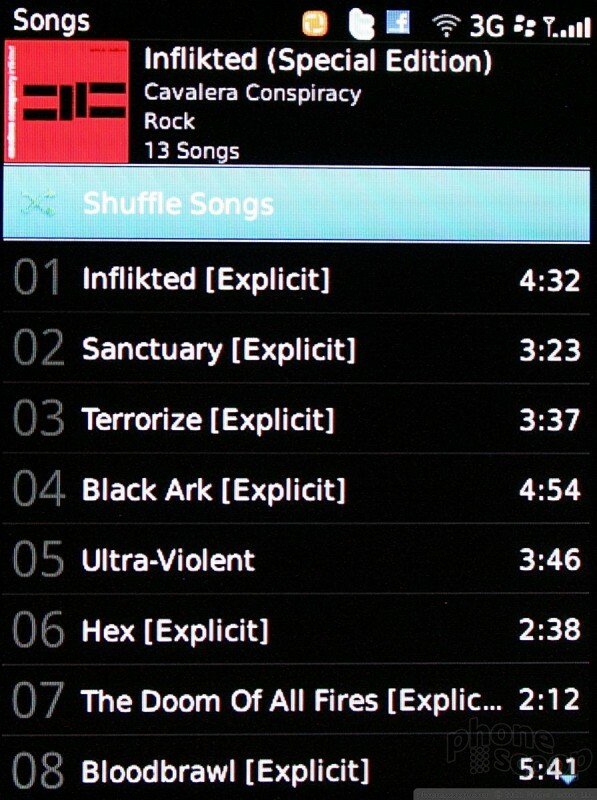 It's neat, and I like that it is built directly into the player, and not just the outer music menus. 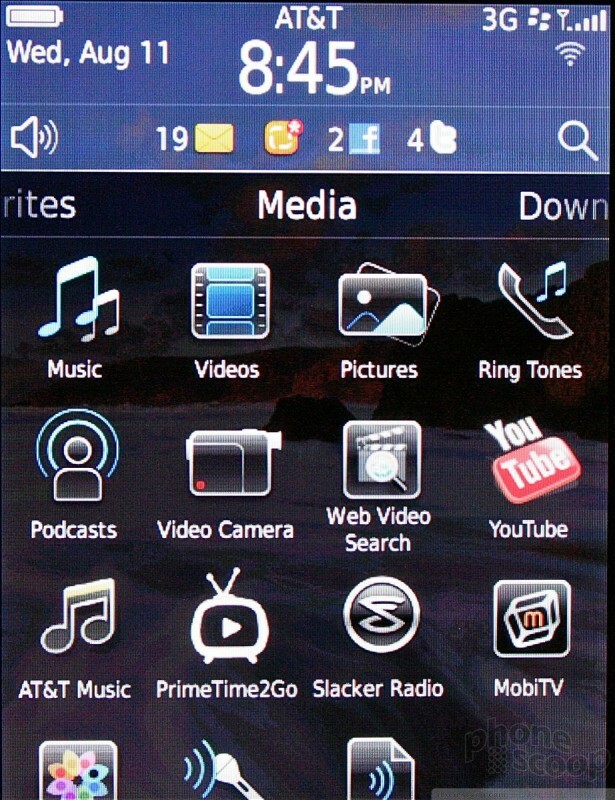 The music player can be sent to the background and users may listen while doing other things, such as browsing the web. Incoming calls pause music, which resumes once the call is disconnected. There are some advanced options, but not too many. 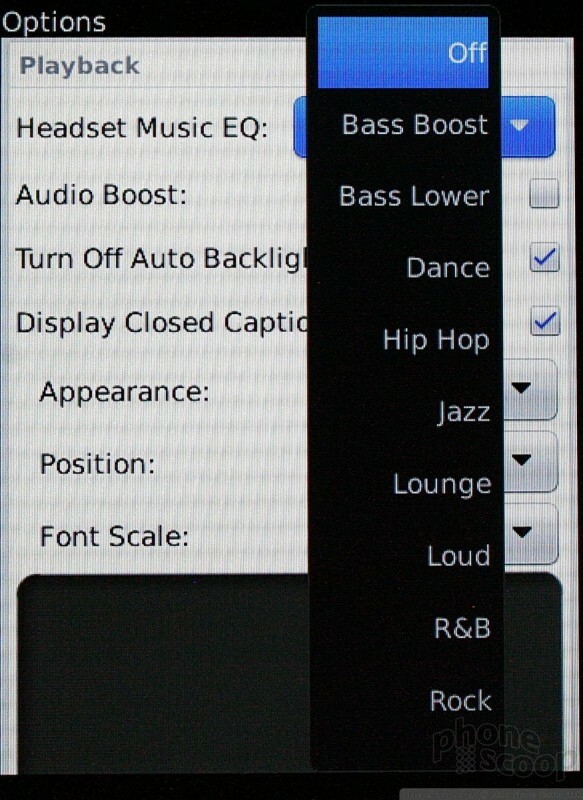 There is an audio boost; captions can be turned on/off; and music can be enhanced when the Torch is used with headphones. Music playback quality was excellent over the speaker, and better through headphones. It also didn't sound too bad via stereo Bluetooth speakers. BlackBerry Desktop 6 is a handy tool for the Torch, which lets users more easily sync media. Users can also do so via Wi-Fi, rather than USB. This is great if you happen to forget your USB cable. AT&T Music and Slacker Internet Radio are also installed, if they're your thing.